Made by Feltman Brothers, the leading designer of classic baby layettes for decades, these sweet little pink batiste booties feature Mary Jane styling with an embroidered rosebud on the toe. 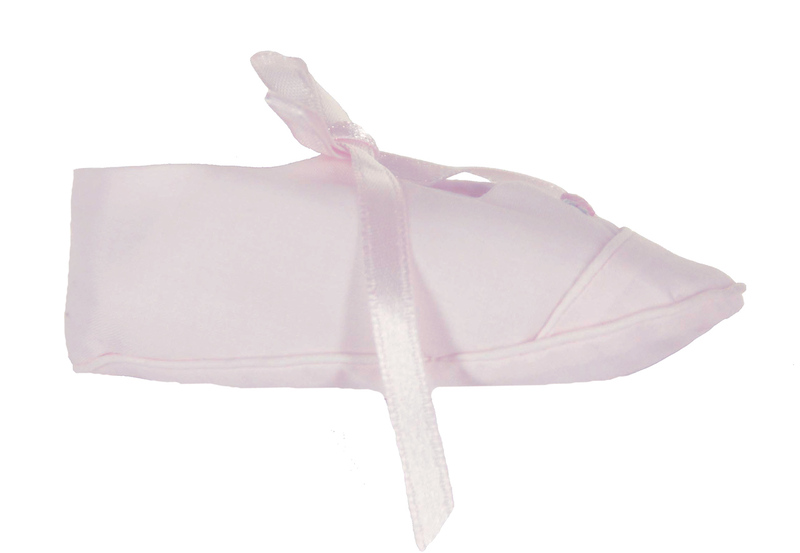 The booties close with pink ribbon ties. 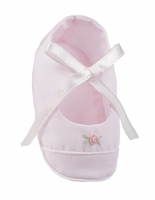 These darling booties will go well with any of the Feltman Brothers pink dresses or daygowns. 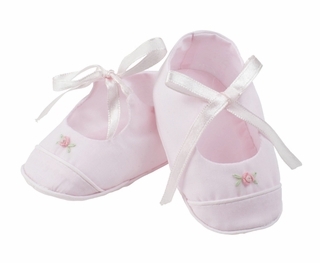 Perfect for a baby shower gift or a newborn baby gift. Note: These sweet booties are also available in white. See below.